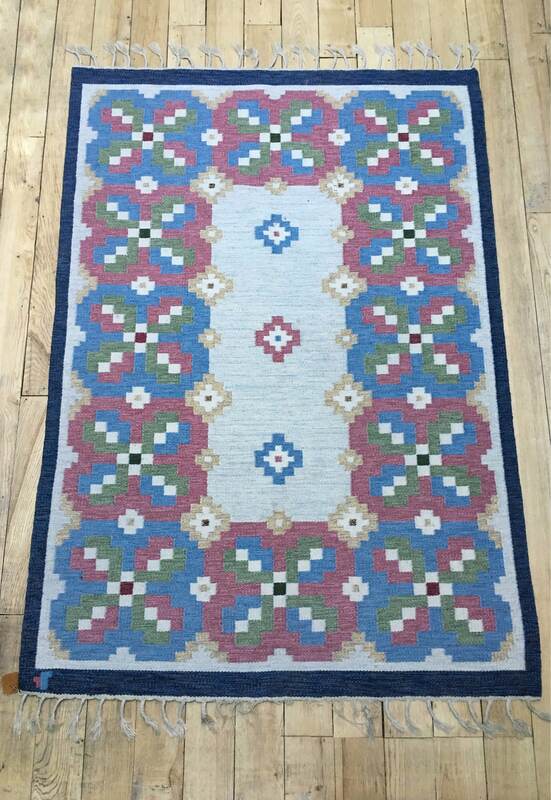 Vintage Swedish handmade rolakan flatweave rug designed by L.Norlander and called 'Lyckeby' for Vävaregården Eringsboda. 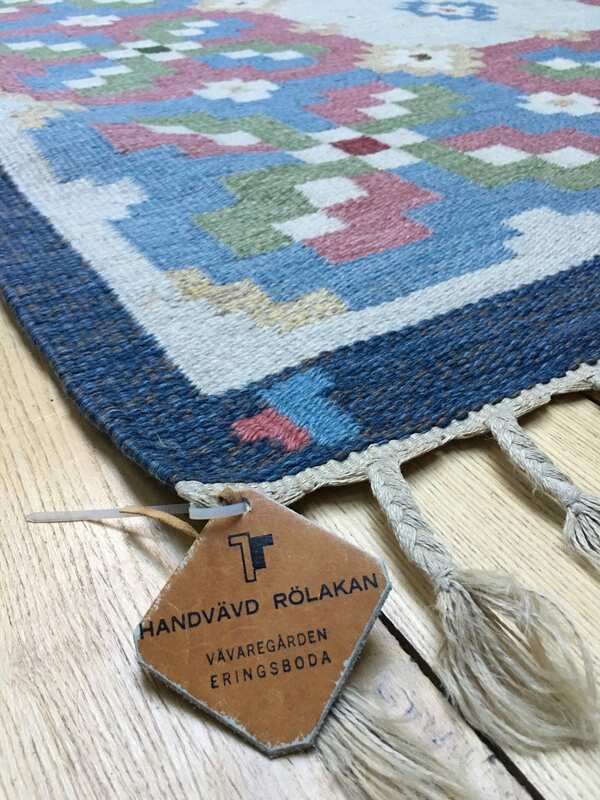 Swedish rolakan featuring geometric shapes and restrained colour palette. 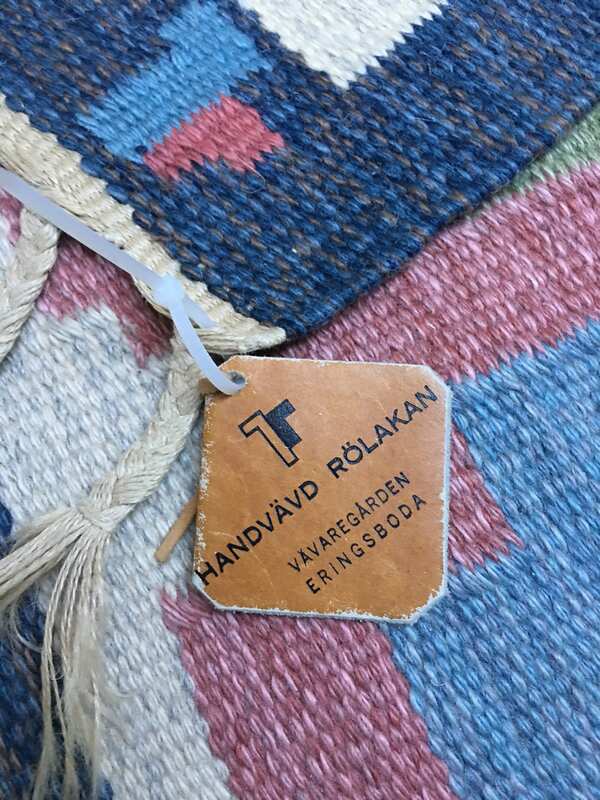 This flatweave rug bears the cipher of Vävaregården Eringsboda. 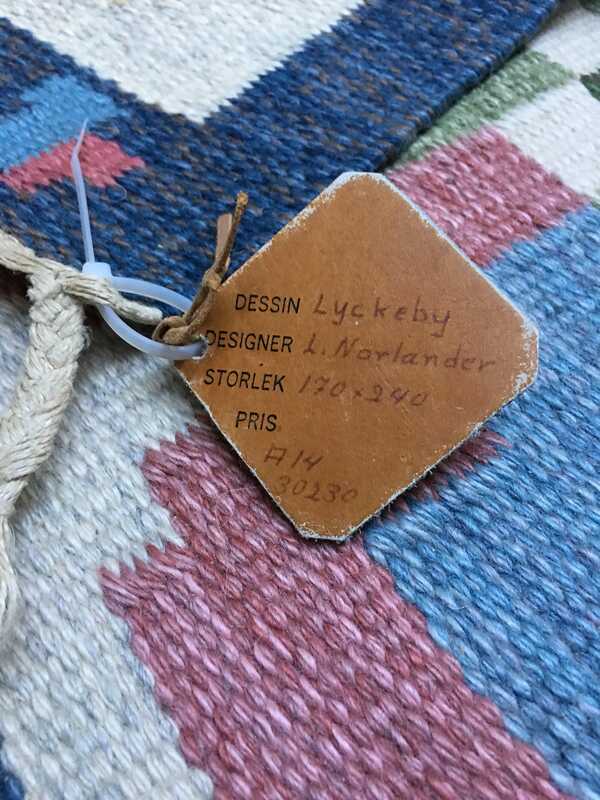 It also features the original leather label. 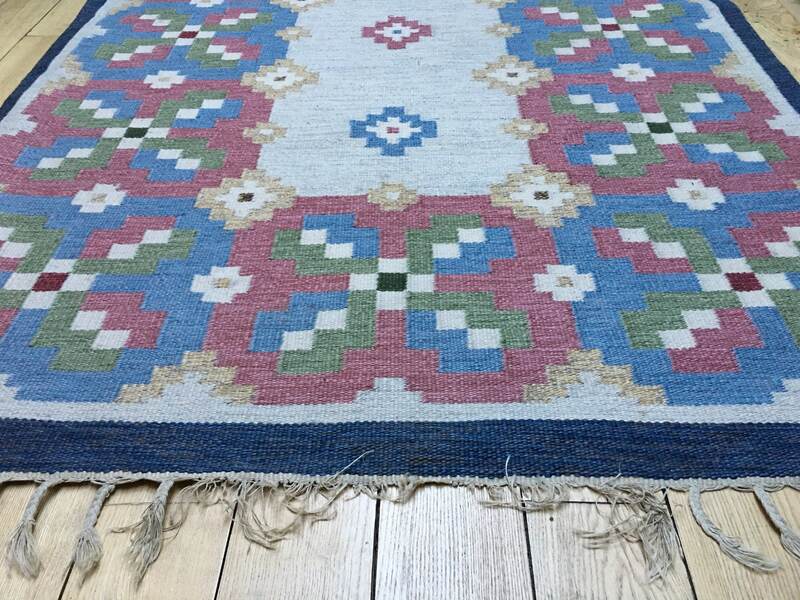 There are losses to the fringing to one end and some small marks. 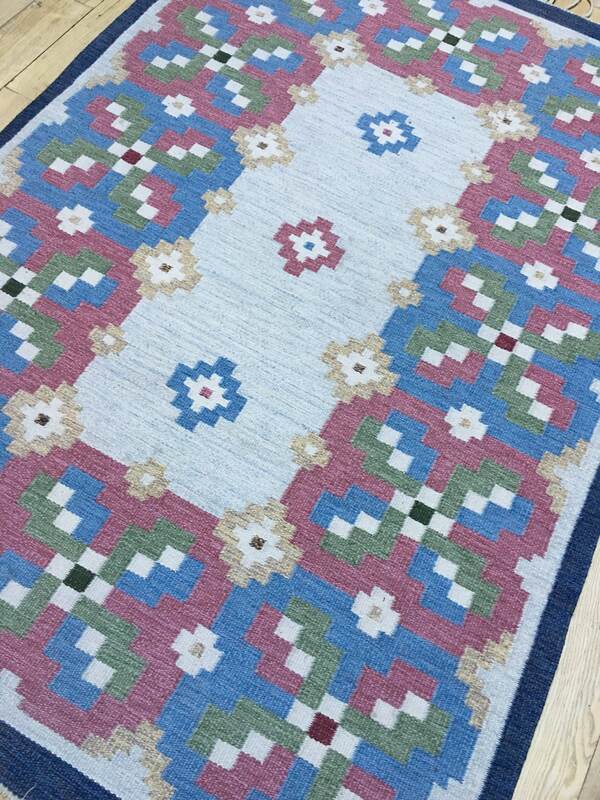 The rug is offered with condition commensurate with age and use.